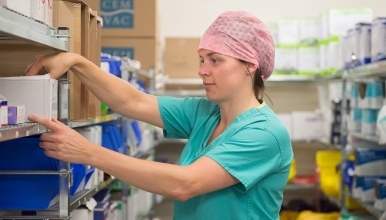 An exciting opportunity has arisen within our service for an enthusiastic, flexible and motivated experience Theatre Scrub Nurse to join our friendly dynamic hard working theatre team. The post will be based within the Cataract Theatre at the Wrekin community clinic. The unit will be relocating to a new purpose built cataract suite at The Royal Shrewsbury Hospital as planned in the near future. Participation in some outpatient Ophthalmology clinics will be expected but full training will be given. Previous experience in Ophthalmic Theatre scrub would be an advantage but not essential.